When a construction company participates in a competitive bid, there is an expectation that the bid process will follow a predetermined set of guidelines. This transparency is intended to protect against collusion and corruption, and to ensure a fair process. Nevertheless, evidence may arise showing favoritism in the process. If so, a construction company prejudiced by the favoritism may formally protest the bid process. Such was the case recently in Flagler County, in which the County awarded a contract to repair its emergency communications system, and is now facing a bid protest from the company who lost the contract. A discussion of the typical grounds for protesting a construction bid, as well as the bid protest procedure, will follow below. “Sunshine Law” violations; e., bid proceedings which were not conducted in a noticed or open public meeting. Based on one or more of the grounds above, Florida law maintains that any individual or entity who is adversely affected by a competitive bid process may challenge the decision (or intended decision) of a governmental agency. The law does not give the individual or entity the right to challenge the decision – merely the ability. In fact, there are very strict deadlines that must be followed for the bid protest to even be considered. Accordingly, engaging the services of an experienced bid protest attorney will help ensure that no deadlines are missed, and the protest is not dismissed as a result. Initially, one can challenge an aspect of a published bid request. In other words, a bidder may challenge the terms and/or conditions of a bid request. Typically, the challenge is based on an assertion that the terms and/or conditions in the request are unfair or cannot be met, or biased toward a preferred bidder. In such a case, the bidder must file a notice of protest to the government agency within 72 hours after the posting of the request. Similarly, if a bidder wishes to challenge the award of the bid (or the intended award of the bid), the bidder also has 72 hours after notice of the award or intended award to file a notice of protest. Failure to file either notice constitutes a waiver of any claims. During a bid protest, typically, no award may be made. Once a bid protest has been filed, the agency must allow seven business days for the parties to resolve the protest amicably and consensually. Finally, if a decision is made by the agency to change the award, the bid process will begin again, which includes the ability to challenge the new bid process. 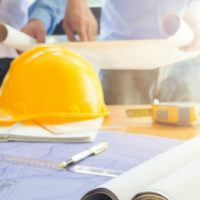 If you feel as if you lost out on a bid (or may lose out on a bid) for a construction project due to the process not being completely partial, contact the experienced bid protest attorneys at Linkhorst & Hockin, P.A. as soon as possible. Our attorneys have specific experience in these actions, and will work to ensure the process is as fair and legitimate as possible. Contact our Jupiter office today for an initial consultation.